Nearly 100 authors are scheduled to showcase their written works during the Local Authors Expo and Book Fair on February 1, 9:00 a.m. to 3:00 p.m. at the Central Library. The event is free and open to the public. The event provides an outlet for authors, many of them self-published, to sell their books and to network. But it also gives library patrons an opportunity to discover new talent and talk to authors about their writing style and writing journey. Book topics include Birmingham and Alabama history, civil rights, poetry, memoirs, devotionals, relationships, inspiration and motivation, self-help, children’s fiction, Christian fiction, teen fiction, fantasy, romance, thrillers, science fiction, and historical fiction. The Expo will have two writing sessions in the Arrington Auditorium. The sessions are free and don’t require advance registration. The Local Authors Expo is presented by the Friends of the Birmingham Public Library, a nonprofit association that supports Birmingham Public Library special needs by providing volunteer and financial resources. For more information and to see a list of the 2014 authors, visit http://www.bplonline.org/programs/LocalAuthors/. Photos from the 2013 Authors Expo can be found on the library’s Flickr account: http://www.flickr.com/photos/bpl/8439043562/in/set-72157632669709859. 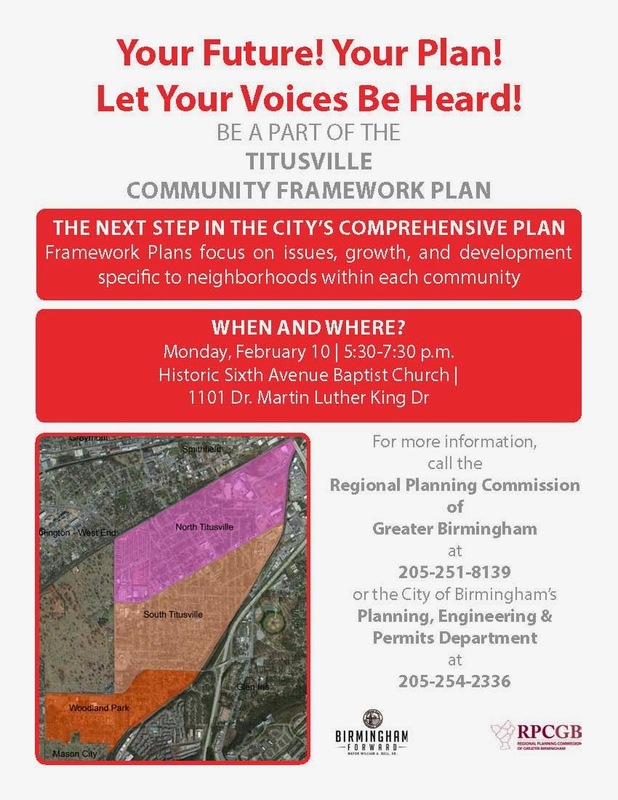 Birmingham is in the process of creating a comprehensive plan for the city and is asking for citizen input. 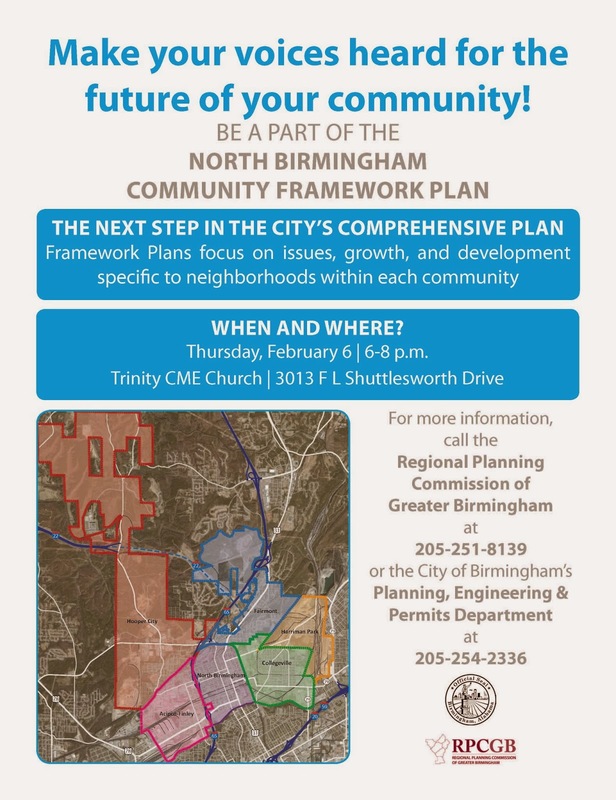 Framework plans focusing on issues, growth, and development specific to neighborhoods within each community are needed. Make your voice heard for the future of your community by participating. From February 23rd through March 15th, BPL will be sponsoring a Twitter Haiku Contest! In conjuntion with the Japan America Society of Alabama (JASA) and the Southeast Chapter of the Haiku Society of America (HSA) the contest will be part of the annual Sakura Festival, the primary event of which will take place at the Japanese Gardens at the Birmingham Botanical Gardens on Saturday, March 22, 2014. Contest begins on February 23rd and runs through March 15th. A winner will be selected each week for the adult division and the youth division. Poems must be submitted by Saturday at 11:59 p.m. to be considered for that week. Haikus must be tagged with #bplhaiku to be eligible. The winner in each division will be announced via the library Twitter @bpl early the following week. Alabama’s weather can be very unpredictable and easy to get sick in. One day the weather can be so beautiful that it would almost be a sin to sit inside and do nothing. On another day, many times the very next day, the weather can be so frightful that you wouldn’t even want to look outside. Weather changes can play a role in lowering our immune systems’ ability to fight against germs and diseases. So how can we protect ourselves from this crazy Alabama weather? Below, in article titled 6 Immune System Busters & Boosters, WebMD explains how our lifestyles can negatively affect our immune system and how changes can be made to improve it. Following the article are pertinent books that you can find in the Birmingham Public Library. Hopefully, after reading this information we’ll be better prepared for whatever Alabama’s weather throws our way. 1. You're short on sleep. Not getting enough sleep can lead to higher levels of a stress hormone. It may also lead to more inflammation in your body. Although researchers aren’t exactly sure how sleep boosts the immune system, it’s clear that getting enough – usually 7 to 9 hours for an adult – is key for good health. Try to get regular, moderate exercise, like a daily 30-minute walk. It can help your immune system fight infection. If you don't exercise, you're more likely to get colds, for example, than someone who exercises. 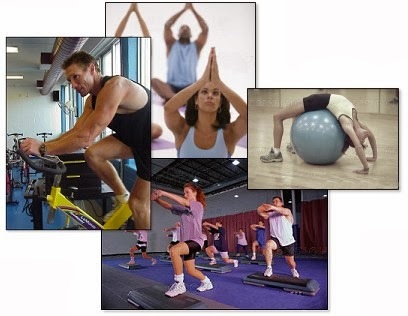 Exercise can also boost your body's feel-good chemicals and help you sleep better. Both of those are good for your immune system. 3. Your diet is off. Eating or drinking too much sugar curbs immune system cells that attack bacteria. This effect lasts for at least a few hours after downing a couple of sugary drinks. Eat more fruits and vegetables, which are rich in nutrients like vitamins C and E, plus beta-carotene and zinc. Everyone has some stress; it's part of life. If stress drags on for a long time, it makes you more vulnerable to illness, from colds to serious diseases. Chronic stress exposes your body to a steady stream of stress hormones that suppress the immune system. You may not be able to get rid of your stress, but you can get better at managing it. Some ways include meditating, slowing down, and connecting with other people. People who feel connected to friends – whether it’s a few close friends or a large group – have stronger immunity than those who feel alone, studies show. In one study, lonely freshmen had a weaker immune response to a flu vaccine than those who felt connected to others. 6. You've lost your sense of humor. For a full article go to http://www.webmd.com/cold-and-flu/10-immune-system-busters-boosters. The Immune System: How It Works by Lydia Woods Schindler. Children's Book Review: Mr. Wuffles! After reading this book, no cat's toy will ever look the same. Among Mr. Wuffles' toys, there is a new one, different from all the rest. It's similar to a spinning top, and there appears to be a small creature (about the size of an ant) peering through a slit. These aliens are here to peacefully explore earth, but unfortunately, their first contact is Mr. Wuffl‏es. Wiesner's artwork reveals even more layers of the story each time one views a page making this a book even adult will want to return to. Mr.Wiesner is only the second person to win the Caldecott Medal three times. The Birmingham Public Library has a new exhibit that highlights the work of Fayette, Alabama, artist Lois Wilson, who took discarded pieces of trash and turned them into treasures. Ladies, Gentlemen and Bazards: The Art of Lois Wilson will be on display through February 21, 2014, in the Fourth Floor Gallery of the Central Library. The exhibit is free. The exhibit focuses on Wilson’s “found art,” which includes pieces made of wood that Wilson scavenged from demolition sites, parts of furniture she disassembled, old brushes, ironing boards, and toilet seats. She used left over food for coloring. The art illustrates the issues that were important to Wilson: environmentalism and conservation, racism, spiritualism, the needs of the aged and homeless, and the emptiness of modern American materialism. Wilson died in 1980. The pieces are on loan from the Fayette Art Museum in Fayette. “Bazard,”pronounced buh-zard, is a made-up word that conveys how Wilson saw herself, which is as “a bizarre person, an oddball, an outsider,’’ says Jim Baggett, Birmingham Public Library archivist. “She very much was a person who felt like she did not fit in modern society. Clearly, her artwork illustrates that,’’ says Baggett. Now through February 21, people may give their own definition of a “bazard’’ and drop it into a box in the gallery. The best and most creative answer will win a prize. Laquita Thomson, associate professor of fine arts at Freed-Hardeman University in Henderson, Tennessee, will give a free talk and gallery tour on February 2 at 3:00 p.m. The talk, “Alabama Mystic or Alabama Outsider: The Art of Lois Wilson,” will be held in the Arrington Auditorium at the downtown library. She will then give a guided tour of the gallery. An artist, Thomson has exhibited widely for the past 35 years. Her work is included in the permanent collections of the Montgomery Museum of Fine Art, the Huntsville Museum of Art, the Mobile Museum of Art, and the Georgia Museum of Art. For more information, call Jim Baggett at (205) 226-3631. Get motivated in the new year with inspiring words from Birmingham motivational speaker Eunice Elliott and her lecture series, Living the Dream 2014, at various Birmingham Public Library locations in January and February. The interactive empowerment series will focus on how people can identify and activate individual goals and ambitions. All sessions are free and open to the public. The Bessemer native graduated from the University of Alabama in 1997 and moved to Connecticut a week later to pursue her dream job at ESPN, working in public relations and later as a production assistant at ESPN Sports Center. After more than 10 years working in sports public relations, including stints at the Tennessee Titans, the FedEx Orange Bowl Committee, and with several high-profile professional athletes, Elliott changed course and started performing stand-up comedy and acting. 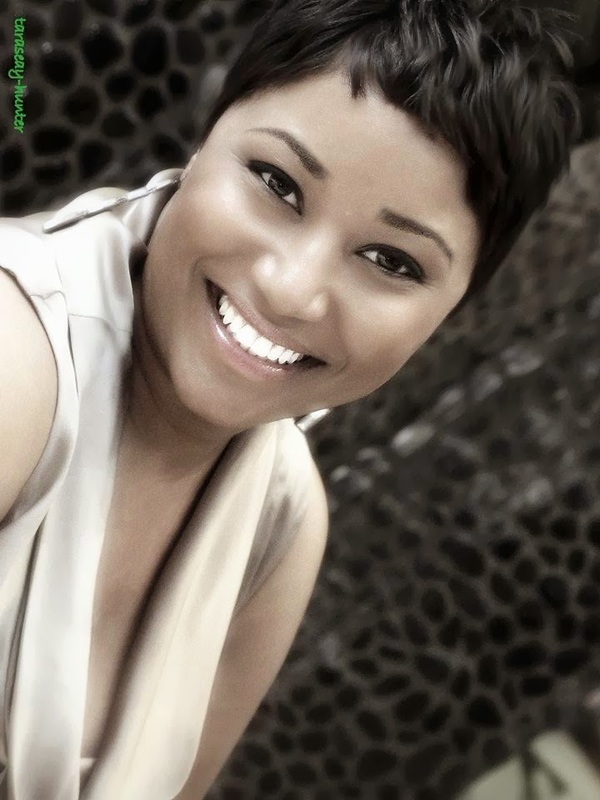 In 2011, she moved to Atlanta to pursue her new passion of comedy and acting. In 2013, she returned to Birmingham to join Alabama's 13 morning team as the traffic reporter. She appears daily from 4:30 to 7:00 a.m.
Monday, January 27, 11:00 a.m.
Wednesday, January 29, 12:00 p.m.
Monday, February 3, 12:00 p.m.
For more information, visit http://facebook.com/euniceelliott. 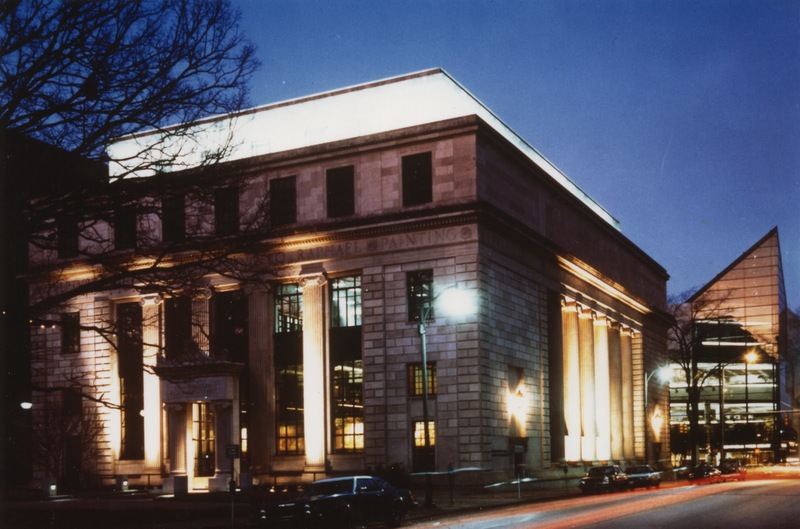 Want to redesign the downtown Birmingham Public Library? Here’s your chance. Now through February 21, people can suggest how to improve the East Building and the Linn-Henley Research Library, which are both part of the Central Library at 2100 Park Place. A café, a roof-top garden, a children’s theater, and a larger auditorium are just some of the ideas. Library leaders welcome more. “A great city has a great library. Help us make ours even better,‘’ says Renee Blalock, Birmingham Public Library Director. The downtown library includes the East Building, which is more than 30 years old, and the Linn-Henley Research Library, which was built in 1927 and was last updated in 1985. Major renovations are planned to equip buildings with cutting-edge technology, expanded meeting spaces, and improved areas for the Archives and Southern History Departments. Renovations will also address improved services and library materials for teenagers, children, adults, seniors, and patrons with disabilities. Submitting ideas is easy. Patrons may visit www.bplonline.org, click on the red “Redesign the Central Library’’ box, sign up, post suggestions, comment on ideas, and vote for their favorite ones. The suggestions with the most votes will rise to the top. The direct link is http://bplrenovation.ideascale.com. People may also sign up through social media outlets such as Facebook, Twitter, LinkedIn, etc. Although this is the time of year when it is cold outside and the skies are often a dark and dreary shade of gray, we have also reached the peak time of year for viewing waterfalls in the state of Alabama. 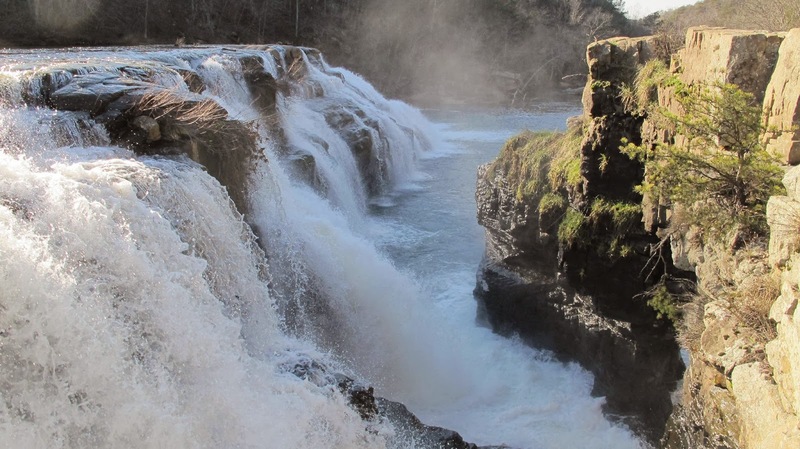 Alabama is blessed with thousands of impressive waterfalls from the mighty High Falls (pictured above) located at an easily accessible county park in DeKalb County to the Kings Shower hidden within the miles of underground passage inside the Tumbling Rock Cave near Scottsboro. The library has several books that can help you get started in discovering waterfalls in Alabama. Several guides to hiking in Alabama mention the locations of waterfalls, including titles such as Alabama: An Atlas of Alabama’s Greatest Hiking Adventures, 60 Hikes within 60 Miles of Birmingham, 50 Hikes in Alabama, and - especially - Waterfall Walks and Drives in Georgia, Alabama, and Tennessee. Many of the most photographed waterfalls in Alabama reside within the borders of the Sipsey Wilderness Area, a rugged tract of wilderness in the northwestern part of the state that contains (literally) thousands of waterfalls. The library system has a couple of books that can help you navigate this area: Alabama Canyons is available for checkout by anyone with a valid library card, but you will have to visit the Southern History department in order to find additional information on the Sipsey Wilderness in books such as Walking Sipsey: The People, Places, and Wildlife or Indian Trails of the Warrior Mountains. Also, if you are interested in spending a full day exploring some waterfalls around the state (with very little hiking required), the map below features an itinerary and directions for a road trip to six really great and easily accessible waterfalls around northeast Alabama. Its a 300 mile roundtrip drive from the Birmingham area, but a great way to spend a cold Saturday in January or February. Nearly 100 authors are scheduled to showcase their written works during the Local Authors Expo and Book Fair on February 1, 9:00 a.m. to 3:00 p.m., at the Central Library. The event is free and open to the public. Interest in the expo continues to grow. Foot traffic in the Birmingham Public Library the weekend of the 2013 Expo was 1,800—double what it was for a normal February weekend and triple what it was for the 2011 Expo. At 10:00 a.m., young adult author and full-time Spanish teacher Anne Riley from Birmingham will lead a session called "How to Write While Having a Life.'' She will explain how to make writing a book a manageable task when you also have a job and family. Her first novel, Shadows of the Hidden, was released in 2012 and published through Compass Press. Recently, she secured a book deal with Spencer Hill Press to publish her book Pull. People often ask Riley, a 30-year-old mother of a 1-year-old and a 3-year-old, when she finds time to write. She says she makes the time, which can come during her school lunch break, right after school or during a weekend break from home when her husband can watch their children for a few hours. “You just pick a time that works for you and you do your best to protect it,’’ she says. 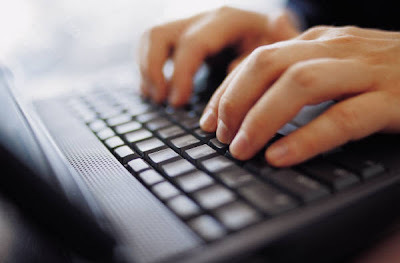 At 1:00 p.m., seejanewritebham.com will offer practical tips on how to use blogging and social media to reach readers and promote one’s work. Featured speakers will be Alabama authors Stephanie Naman and Kathryn C. Lang, and seejanewritebham.com founder and blogger Javacia Harris Bowser. Also, Books-A-Million will be on hand to talk about a new book publishing service they offer. The company now has the Espresso Book Machine, the only one of its kind in Alabama, which allows authors to submit their works to be published. Customers may also browse the company’s database of over 7 million titles and request that a book be printed and bound in minutes just by using the Espresso Book Machine. Birmingham author Anne Riley has written four books and has had two published. She’s already making plans for her next book, which will be a young teen novel set in Alabama.Her website is www.annerileybooks.com. Follow her on Twitter at @anneriley. Guntersville-based writer Kathryn Lang is the author of 10 books including her latest nonfiction work Place in Purpose. 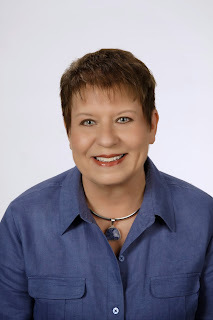 Lang describes herself as a "hopesmith," crafting hope for those she encounters through her books, columns, teachings, and presentations because she knows that hope makes everything possible. Her website is www.kathrynlang.com. Follow her on Twitter at @kathrynclang . Billie Thomas is the pseudonym of Birmingham-based author Stephanie Naman, whose day job is in the advertising industry. Her clever and comical murder mystery Murder on the First Day of Christmas follows the adventures of amateur sleuth Chloe Carstairs. She blogs as Chloe at chloegetsaclue.com. Follow her on Twitter: @ChloeGetsAClue. Javacia Harris Bowser is a blogger, freelance journalist, and the founder of See Jane Write, which is a networking organization for women writers. She is also founder of seejanewritemagazine.com.Her websites include: www.seejanewritebham.com and www.seejanewritemagazine.com.Follow her on Twitter: @seejanewritemag, @seejanewritebhm, and @writeousbabe. Jacinda, her twin, Tamra, and their mother must flee back to their "pride" when Jacinda shows her true self to the boy she loves: Will. Will is a menber of a family who hunts her people. The draki decides Jacinda, a fire breather, must marry the pride's heir apparent, Cassian, whom Tamra wants. The draki have the ability to morph from human to dragon form which is not revealed until the third CD, although Jacinda morphs several times. The angst Jacinda suffers over the duty to her pride and her love for Will ends the story with a cliffhanger. Therese Plummer does a good job narrating this angst-filled story. Her character voices are distinct and easy to follow. Her pacing fits the narrative and the characters. When the character narrative says her voice breaks, the character's dialog reflects the break. As part of the celebration of Martin Luther King, Jr. Day, each January the Birmingham Public Library’s Department of Archives and Manuscripts sponsors Begin the Day: The Annual Martin Luther King, Jr. Lecture. Now in its eleventh year, the King Lecture has featured civil rights activists, scholars, children’s book authors, and community leaders talking on civil rights history and contemporary civil rights issues. 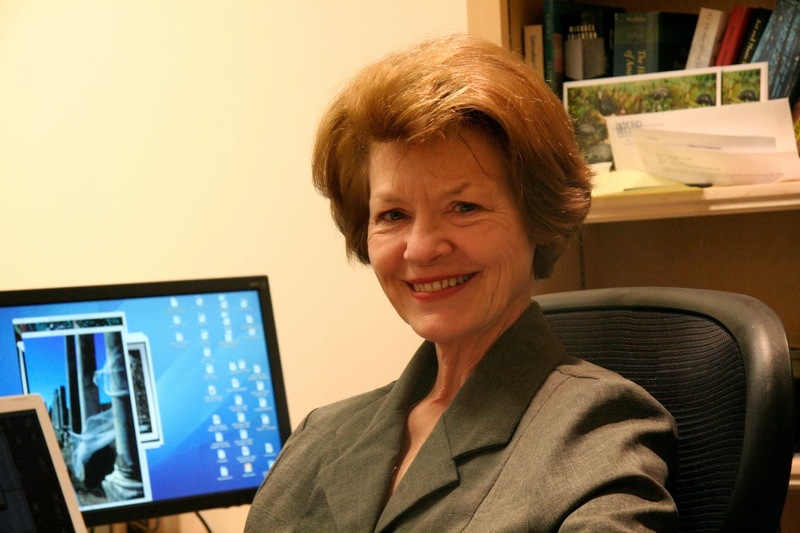 The 2014 lecture will feature Patricia A. McCay, Chair of the Huntsville-Madison County Human Trafficking Task Force. Her talk, Human Trafficking 101, will discuss the victims of modern day slavery, explore the ways that traffickers entrap and control their victims, and look at cases of trafficking in Alabama. The program will be held January 17, 2014, at noon in the Richard Arrington, Jr. Auditorium at the downtown Birmingham Public Library. To learn more about Patricia McCay and human trafficking in Alabama visit http://www.al.com/living/index.ssf/2013/08/human_trafficking_task_force_w.html. (205-226-3631, jbaggett@bham.lib.al.us) or visit www.bplonline.org. Space is limited for each class, and registration does not guarantee you a space. If you register for a class, please make all efforts to attend. 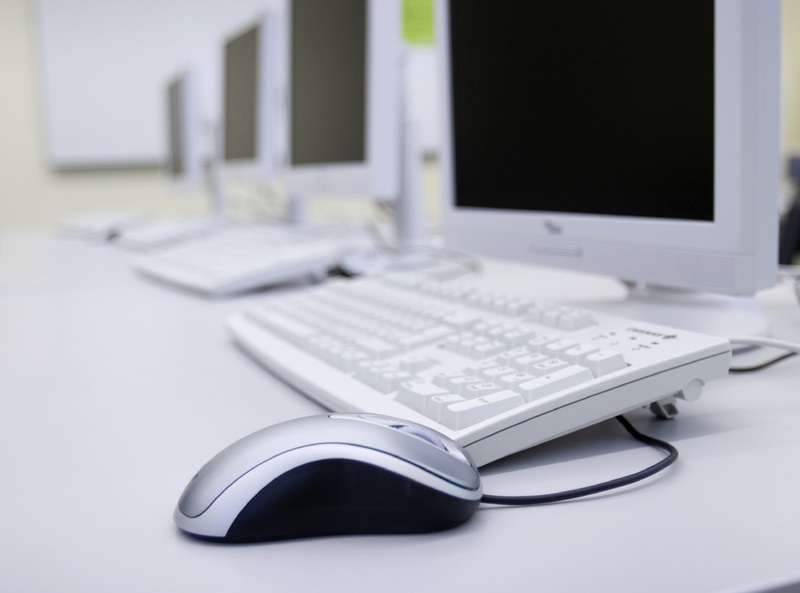 Repeated "no shows" could affect your registration eligibility for future classes. If you register for a class and cannot attend, call Public Computer Services at (205) 226-3680 or 226-3681 as soon as possible. As a service to the community, the Birmingham Public Library provides copies of current Federal and Alabama tax forms, instructions, and publications. Basic forms are available at most library locations; a more extensive collection of forms is available in the Government Documents Department in the Linn-Henley Research Library. Please contact your library to ensure that any forms you need are available. 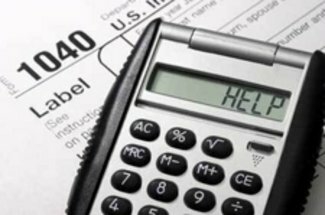 Impact Alabama will again be providing free tax preparation services during the 2013 tax season for households earning less than $50,000 a year with one or more children or $20,000 year without children. You must call 1-888-99-TAX-AL (1-888-998-2925) for an appointment; no walk-ins will be assisted. Impact Alabama is sponsored by SaveFirst. Mondays & Tuesdays 12:00-6:00 p.m.; Saturdays 9:00 a.m.-3:00 p.m.
Mondays & Tuesdays 12:00-8:00 p.m.; Saturdays 9:00 a.m.-3:00 p.m.
Mondays & Thursdays 9:00 a.m.-5:00 p.m.
Wednesdays & Fridays 11:00 a.m.-5:00 p.m.; Saturdays 9:00 a.m.-3:00 p.m.
“Each session will address another phase of Living the Dream. The first session is designed to help those who may have forgotten their passion due to circumstances or have run out of ideas of how to pursue them,’’ she says. We often know the traits of Dickens’s characters as we read their names. 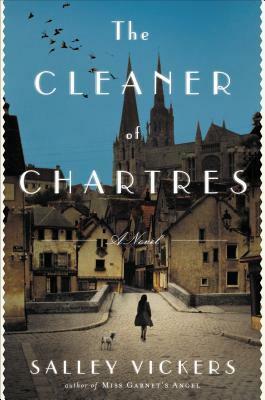 In Salley Vickers’s The Cleaner of Chartres names don’t give away the game, but Vickers gives us insight into characters even as she introduces them. This Dickensian tale set in modern France even has its own Madame DeFarge and Madame Beck in this story and is also full of malice. (Fortunately Madame Beck does not knit). Helpfully, Vickers tells us the meaning of our cleaner’s name, Agnès Morel. Morel is for the mushroom, beloved by the old farmer who found her abandoned, in a basket, in his fields. Agnès means “lamb of God”, in this case a very Dickensian name. Agnès is indeed the lamb of God. She is forty when we meet her, humbly washing the floors of the great cathedral, which is the other great character of this book. And there are many characters. The author introduces her characters early on and almost all at once in a natural, offhand way, the narrative passing effortlessly from the thoughts of one to the other as their paths weave together from day to day in the old town in and about the cathedral. Salley Vickers was a practicing psychoanalyst until the success of her first novel Miss Garnet’s Angel, and she has unsparing insight into the cleric, nuns, widows, workmen and barmaids of Chartres, regarding their foibles with humor and sympathy. We come to know them well. We come to know Agnès well, but Agnès is nonetheless a mystery. She carries a dark secret and hides her shame. She is so silent the townspeople believe her to be stupid and give her odd jobs. The narrative of the novel alternates between the present, when, forty years old, her precarious mental state she is threatened by discovery, and twenty five years earlier, her teen years as an orphan in a convent and mental hospital, the story of her secret shame. We pull for Agnès. While the townspeople take her for granted and think very little about her, she quietly goes about her tasks, listening to those who need solace and doing small things that make a difference in their lives, spreading God’s grace. Indeed, this reader wondered if she might be a revisitation by Saint Mary to the Cathedral of Our Lady of Chartres, so saintly is Agnès. But, as the dense plot unfolds, the characters become more than stereotypes, entertaining us at every twist and turn through the medieval town, up, under and through the great gothic masterwork of Chartres Cathedral. It’s a new year and many of us have made New Year’s resolutions. One resolution on many lists is to get more exercise. I don’t know about you, but I can’t find the discipline to exercise consistently. I go through periods when I can’t wait to go exercise and others when I’d rather do anything but exercise. Usually when I’m exercising on a regular basis, something happens to throw me off track (injury, illness, etc.). Sometimes I get disgruntled with my health club membership and decide to go it alone to save money. I admit I’ve bought a couple of things I’ve seen on television, but I didn’t stick with them for the long haul. A coworker told me about BodyRock.tv. This website features a number of high-intensity workouts that work your entire body with just a short time commitment. I decided to give it a try. In the interest of full disclosure, I did start my BodyRock journey with a workout entitled, “It Will Rain Sweat.” To use one of Judge Judy’s famous phrases, “BIG MISTAKE!! !” As I gasped for breath, heaving on the floor, I texted (with great effort) the person who told me about BodyRock and said I could only do one round. After she got her laughter under control, which I learned later, she texted back and told me I went through the workout too fast. Have you seen the commercial where the bodybuilder asks the smaller guy if he "got his burn on" today? If you haven’t experienced that, believe me, it happens. When I was a member of the YMCA, a friend from the library who’s more than twice my age started trash-talking me about not using all the workout equipment that he did. He's not a bodybuilder, but he's in great shape. He is a mild-mannered, friendly grandpa, but get him in the gym and he turns into a UFC fighter. How about the people who choose the cardio machine right next to you and start racing? I admit that ONE time this guy started running next to me and I decided that barring death, I would NOT be the first one to stop. I had to crawl back to the locker room, but he stopped first. I call that a victory. Thankfully, the locker room was on the same floor. I hope you’re laughing by now, but we all know that exercise is important for good health. My eating habits are in order, but I have to get back on the exercise train. I hope all of us find something we enjoy doing and stick to our New Year’s resolution to get more exercise. Be sure to check out the collection of fitness books and DVDs at the library to get some motivation and inspiration. Happy New Year! Over the last few years I’ve read several of the big memoir phenoms that are part of a memoir revival that’s been going on in America for the last twenty or so years. 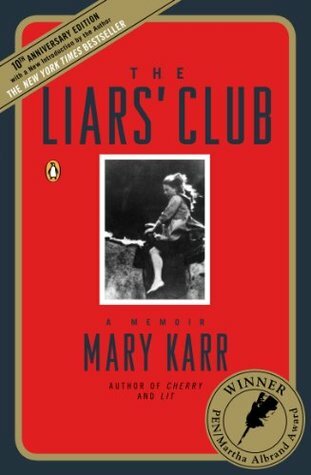 The Liars’ Club, Mary Karr’s story of growing up in brutal East Texas and Antelope, Colorado, in the fifties and sixties, is often seen as the first book of this revival. The metatheme for most memoirs is Overcoming Adversity, or at least Surviving Adversity. The Liars’ Club is much more of the latter. Both of Karr’s parents were alcoholics. Leechfield, Texas, where most of the action takes place, won national awards as one of the ugliest and most unhealthy towns in the U.S. It’s a town where ”…the only thing a woman might dream for…was a deep-freeze filled with deer meat she’d cleaned and dressed herself.” All women, that is, but Karr’s mother. She rages at how she’s sunk socially so much that she has to actually live in such a place as Leechfield, drowning her anger in drink. Dad works at the refinery, comes home and drinks. Mary and her sister Lecia absorb and dodge the fallout as best they can. Their dad teaches them to become scrappers, to fight. Soon they become feared throughout town, even by most boys. As I said, Leechfield is filthiness itself. Once, the sisters join other children in following the mosquito truck as it goes through town. Interestingly, this scene is duplicated years later in Bill Bryson’s Thunderbolt Kid memoir. Was inhaling mosquito repellent a rite of passage in Mid-Century America? Mom and Dad divorce. Grandma dies; Mom comes into an inheritance, blows it. She takes the kids to Colorado, marries Hector, a Mexican-American, another alcoholic. They fight. She buys a bar in Antelope and runs it. Antelope has not only seen better days, it’s past its adequate days. The girl’s public school is an experimental bad joke. Mom splits up with Hector, takes the girls back to Leechfield, reunites with husband one. The last section, from 1980, concerns the death of Karr’s father. He smokes and drinks himself to death. Does it seem unbearable? Well, it isn’t. There is humor scattered through the book. Karr has a smaller reputation as a poet, and her poet’s eye and ear are exhilaratingly strong throughout. Here is Karr’s on her mom: “She pinched her mouth into a stiff little asterisk at that.” A hurricane throws a jellyfish up on the beach: “I spied a huge cabbage-head jellyfish…It looked like a free-floating brain knocked out of somebody’s skull.” “When [dad] finally curled on his side…he looked like something dry you’d shake out of a shell.” I could cite a hundred equally good bits. The ugly beauty of The Liars’ Club is very rare and sometimes miraculous. Like Sylvia Plath, Mary Karr is proof that poets can come out of the most unlikely places. She’s been called a writer’s writer, and that she is, and a lot more besides. This is memoir writing at the apex. Several Birmingham Public Library locations will celebrate Black History Month in February with cooking classes, art projects, lectures, and theatrical presentations. All events are free. 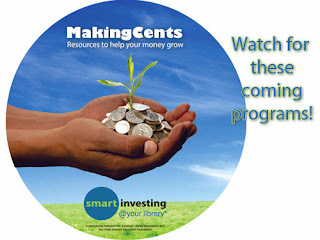 Click on the poster image for a list of the programs. "Our Musical Journey Through Faith"
Come see the Birmingham Metropolitan Youth Choir perform songs from the civil rights movement on Thursday, 2/20/14, at the West End. Three foot soldiers will talk about their experiences. A question-and-answer session will follow. Choir director: Emmanuel Reese Musician: Samuel Robinson. Do any of your New Year's resolutions include conquering the Internet or PC? If so, then call 226-4083 to make a reservation to attend one or both of these free computer classes offered at the Springville Road Library. The cold temperatures outside have made the conditions in many of our library buildings very uncomfortable. Due to these conditions, we are closing some of our buildings early today. Some buildings have very little heat. The libraries include West End, Titusville, Southside and North Birmingham. These locations will close at 4:00 p.m. today. The Central Library will close at 5:00. Community and the other regional libraries will close at 6:00 p.m. The Birmingham Public Library (BPL), in partnership with the Birmingham Children’s Theatre (BCT) and Junior League of Birmingham (JLB), would like to invite you to attend From Page to Stage: The Adventures of Tom Sawyer — A Readers’ Theater Workshop for Children. In anticipation of the upcoming BCT performance of The Adventures of Tom Sawyer, BPL will be hosting free workshops at several of its area libraries. Children, aged 7 to 12, will learn how storybook characters come alive through the magic of theater. JLB members will coach the children and introduce them to similar literature located in their local library. Each child will receive two free tickets (one child and one adult ticket) to the BCT The Adventures of Tom Sawyer production on February 8, 2014, at 2:00 p.m.
Tom’s adventures begin with a whitewashed fence, a sweet girl named Becky, Huck Finn, and tales of pirating and treasure hunting. After a surprise funeral and a murder trial where the truth is uncovered, the audience will see Tom not only as an adventurer, but also a moral hero. Join the Birmingham Public Library and the Birmingham Children’s Theatre for lessons of bravery, truth, and adventure where Tom meets his match and mischievous fun begins. 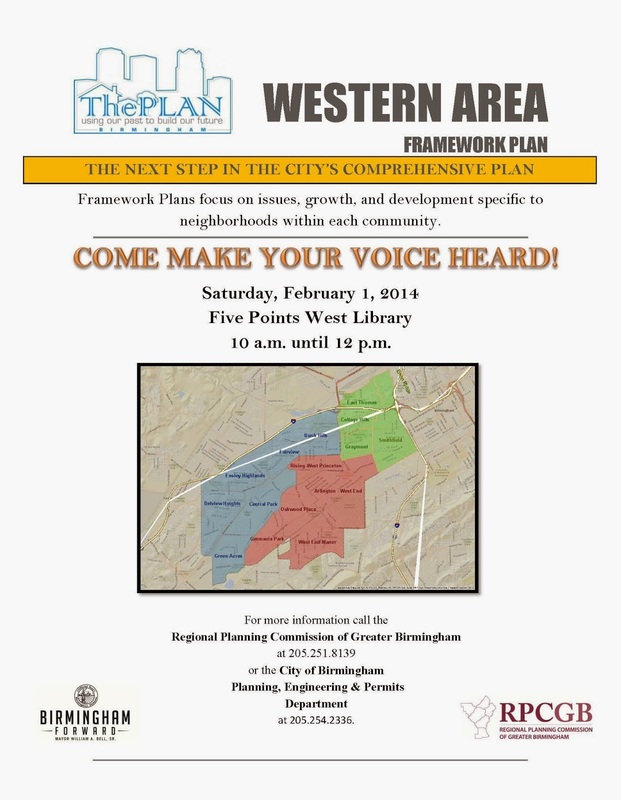 Avondale: January 18 – 11:00 a.m.
Central: January 25 – 11:00 a.m.
East Lake: January 18 – 11:00 a.m.
Five Points West: January 25 – 11:00 a.m.
North Birmingham: January 18 – 11:00 a.m.
Southside: January 18 – 2:30 p.m.
Springville Road: January 25 at 11:00 a.m.
West End: January 25 – 2:30 p.m. The Pew Research Center released a report December 11 titled "How Americans Value Public Libraries in Their Communities." The Summary of Findings states, "Americans strongly value the role of public libraries in their communities, both for providing access to materials and resources and for promoting literacy and improving the overall quality of life. Most Americans say they have only had positive experiences at public libraries, and value a range of library resources and services." Wylam Library has first hand knowledge of a young man whose life has been changed because he visited the library. 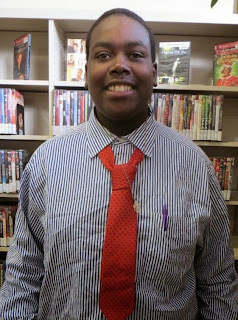 For the past year, Jamerrius Roseman has come to the library regularly so he could use the public PCs to search for a job. 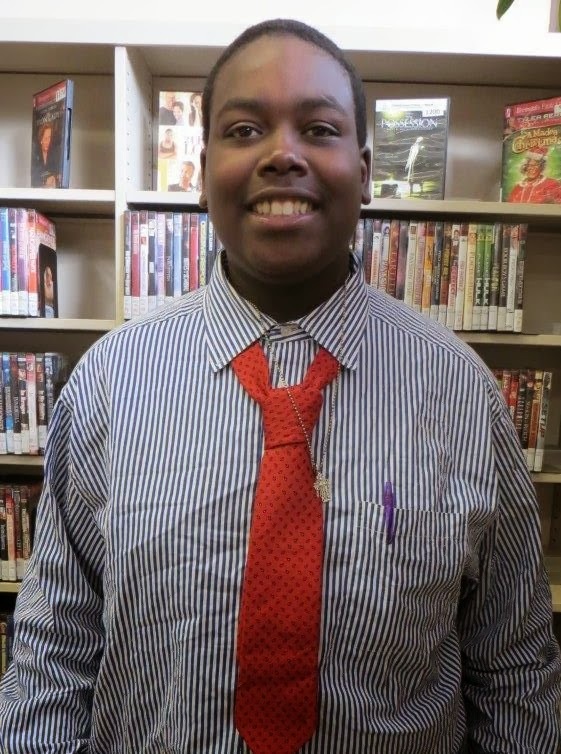 The library staff got to know him and introduced him to the JOB Corps website. A month ago, Jamerrius stopped coming to the library. The staff were concerned, but didn't have a way to get in touch with him. They were happily surprised last week when Jamerrius walked in announcing he had joined the JOB Corps and was assigned to the training center in Muhlenberg, Kentucky. He is being trained as a heavy equipment operator. Your public library is much more than books, dvds, other media and even pcs. Your public library is a place where you can find your dream and make it come true. In September of 1937 an Oxford professor by the name of John Ronald Reuel (J.R.R.) 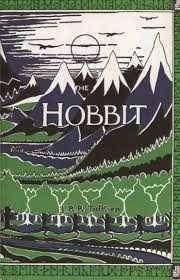 Tolkien published a short novel based upon stories originally written for his children: The Hobbit or There and Back Again. 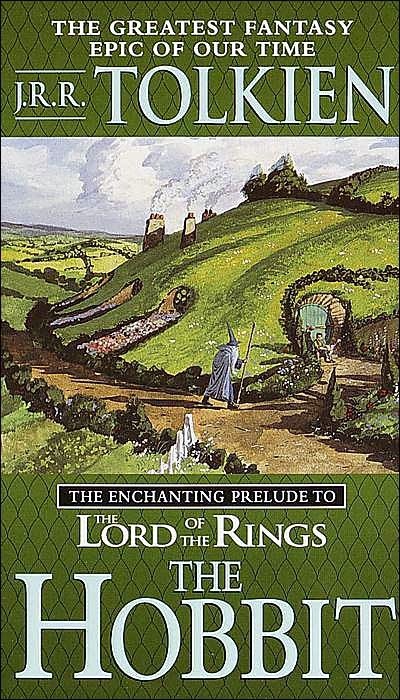 This book became the prequel to the later-written Lord of the Rings trilogy and the posthumously published Silmarillion (1977) and sparked a phenomenon that has been loved by generations. 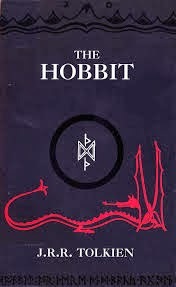 Film adaptations of The Fellowship of the Ring (Book 1954, Film 2001), The Two Towers (Book 1954, Film 2002), and Return of the King (Book 1955, Film 2003) were blockbuster hits, leading to the current three-part film adaptation of The Hobbit - the second of which, The Desolation of Smaug is currently in theaters (the third movie, There and Back Again is due out in late 2014). Learn more about The Hobbit, Middle-Earth, and Tolkien at the Birmingham Public Library. 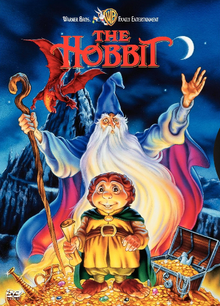 Watch: In 1977 The Hobbit was made into an animated motion picture. 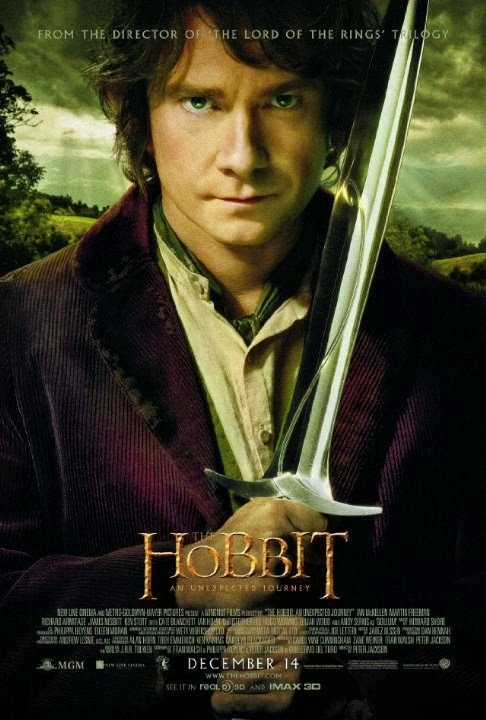 The Hobbit: An Unexpected Journey is also now available on DVD. 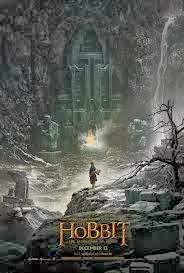 *Images in this post are the primary English language book covers and movie posters used for The Hobbit since its publication. More images of covers for many of Tolkien's books can be found here.